The redoubtable Margo MacDonald MSP this week called on the Scottish government to describe more closely how life would be for the Scots if they were independent. Fair comment. But wouldn’t it also be good to have an idea of some of the more beneficial things that might happen if all things were not all run from a Westminster perspective. This blog is being written ‘abroad’ (actually in Norfolk). The local Eastern Daily Press is full of how serious the drought is in East Anglia and indeed the pond in the local village dried up this year and farmers are anguishing about the effect on their crops of another year when 30% of the rain simply did not show. The EDP wants to scrap the HS2 rail project to fix this urgent problem. I need not tell my fellow Scots that rain is one of Scotland’s bounties. 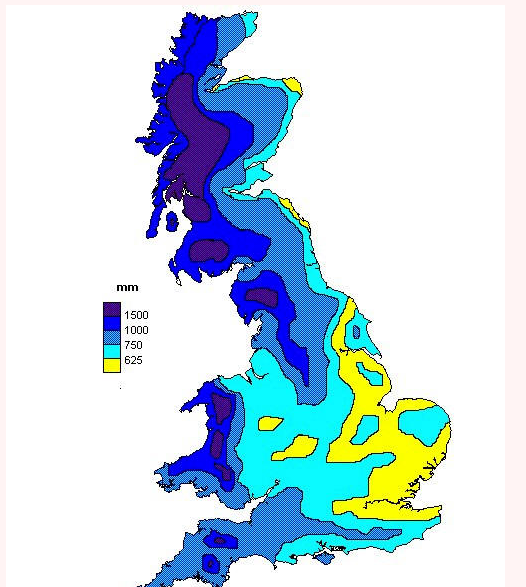 But East Anglia is blessed with under 650mm rain on average and this year has seen nothing like. If, as is likely, that this is also caught up in the huge drift of climate we are experiencing, does it take a rocket scientist to see that a wetter Scotland needs to do business with a drier England? It may, at some point, make sense to build a pipeline. But that scale of infrastructure needs heavy belief (as well as investment) that it is for the long term and, if at all possible, profitable into the bargain. That will not happen soon and, even if England were to build their own from the wet Lake District, the distances and altitudes involved make for formidable engineering headaches. But, how could we get the water shifted some other way? It’s not as if there is a shortage of tankers in Scottish waters nor of crew who know how to handle them. Is there perhaps a business here and one that an independent Scotland could profit from? An American company S2C Global Systems Inc is already investigating using tankers to transport fresh water from Alaska to India and the Arabian Gulf. The Grauniad reported on this a year ago but since then the news has been scant. Because the distance involved requires serious economies of scale, tankers of 50m gallons (around 200,000 tons deadweight). But that’s to shift water a quarter way round the globe from Juneau to Mumbai or Dubai. What we are discussing is under 300 nautical miles between Perth or Aberdeen (both well developed ports, capable of taking ships up to 5,000 tons deadweight, sitting at the mouths of two of Scotland’s biggest rivers) and East Anglia. Port facilities would consist of more than simply hanging a hose over the side but should not need major investment in infrastructure. Small tankers, such as could operate out of Perth, could also operate into King’s Lynn or Yarmouth as delivery ports. They cost around £4,000 a day to operate and could make a round trip from Scotland to East Anglia in around 4 days, delivering 2,000 tonnes of fresh water at a cost around £20,000 or about £8 per tonne. East Anglia covers around 10,000 sq km. With 30% of its 650mm of rain missing, that’s a shortfall of some 2m cu. m. (= tonnes) of water—or roughly 1,000 tanker trips over a year. Working flat out, 12 small tankers would be able to sustain that. But would all be worth it? Could it make economic sense? Norfolk boasts some of the most productive agricultural land in Europe, with sugar beet yielding 140 tonnes per acre and that crop fetching £26 per tonne. Water shortage can drastically reduce that lucrative £3,640 per acre gross income, so £10 or £12 per tonne of water does not seem a high price to pay for sustaining such riches. So as you stand at your window drawing the blinds at 3:30 pm and the stair rods are fair stottin’ off the pavement, just see them as £20m in glittering coins of the realm we could be lifting from English pockets—soon. And them even being grateful to us for it.